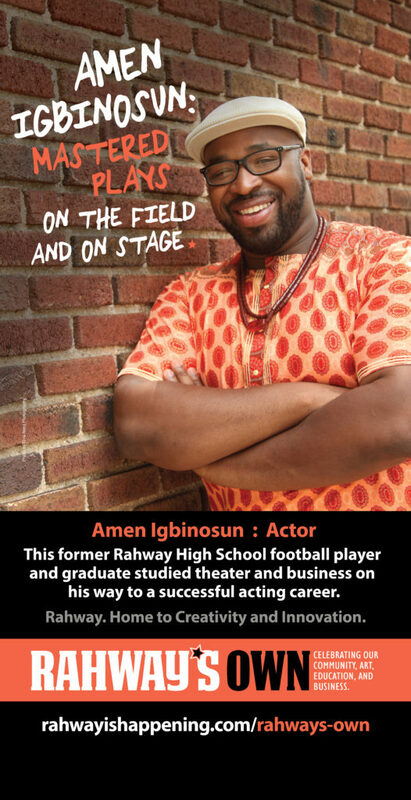 Rahway is home to Creativity and innovation! It is the difficult job of the Rahway’s Own committee to sift through the worthy nominations and determine who to honor as the next “Rahway’s Own!” While Rahway boasts incomparable residents of all ages, the committee must choose only 4 successful members and former members of our community to be honored annually. Each of these honorees has achieved success in their chosen field and we are proud to call them Rahway’s Own. After the success of Rahway’s Littlest Own, wherein kindergarten students were able to write about their future plans of becoming a Rahway’s Own honoree, the Rahway School System will expand its incorporation of “Rahway’s Own” as part of it’s writing programs. Students will receive age appropriate writing assignments. Further, the High School Student Government Association will prompt candidates to write essays on what they will do to become Rahway’s Own and how they will contribute back to their community. The inclusion will inspire students to think about what careers they envision for themselves and the steps they will take in order to achieve success. For more information, please visit www.rahwayishappening.com or follow Rahway’s Own on Facebook.